Dr. Bhimrao Ramji Ambedkar (1891–1956) rose from a community of "untouchables," to become a major figure in modern Indian history. Christophe Jaffrelot's biography reconsiders Dr. Ambedkar's life and thought and his unique combination of pragmatism and idealism. 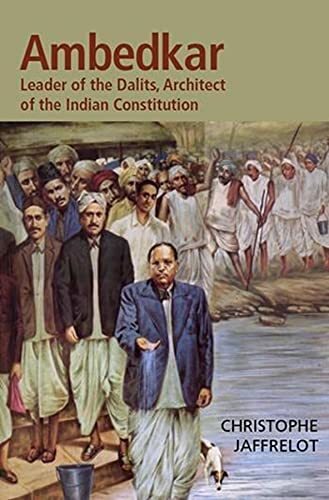 Establishing himself as a scholar, activist, journalist, and educator, Ambedkar ultimately found himself immersed in Indian politics and helped to draft the nation's constitution as law minister in Nehru's first cabinet. Ambedkar's ideas remain an inspiration to India's Dalit community. Christophe Jaffrelot is director of the Centre d'Etudes et de Recherches Internationales (CERI). He is the author of India's Silent Revolution: The Rise of the Lower Caste in North India and The Hindu Nationalist Movement and Indian Politics, which the New York Review of Books hailed as "a scholarly tour de force."